We did it! But you can still be in it! Think it’s too late to be a part of the Zamir Chorale of Boston's Halleluyoh Virtual Choir? Due to popular demand, we have reopened the submissions and will expand the video to include greater participation. But don't wait! We have limited capacity! Simply follow the steps outlined in the instructional videos and submit your recording to us by April 2019. We will add your video and voice into the above video and you can join the hundreds of other singers participating in this exciting virtual choir. Read below to learn more on how you can become a part of this exciting international musical project. Welcome to this exciting Virtual Choir project! What is a virtual choir? It is a performance made up of singers from all over the world who have come together to share their passion for choral singing in a new and unique way. How does it work? Singers video-record themselves singing their own part of Louis Lewandowski’s “Halleluyoh.” They upload the recording to YouTube, and then we take these recordings and we synchronize them to make one enormous and gorgeous virtual performance—an ensemble of hundreds of voices from around the world, united through their love of this music. Whatever your religion, whatever your nationality, we hope you will participate in this project with us! 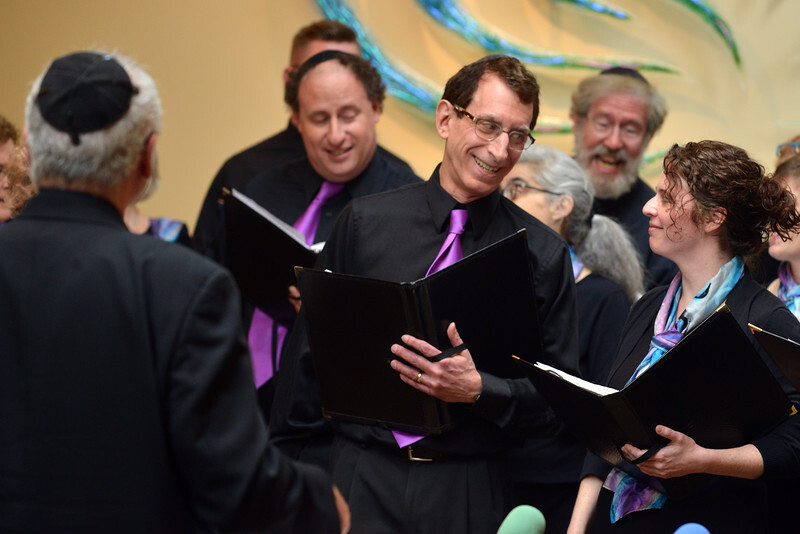 Founded in 1969 by Joshua Jacobson, one of the world’s leading authorities on Jewish choral music, the Zamir Chorale of Boston’s “music with a mission” brings the joy of Jewish music to audiences that transcend age, religious and ethnic background. Performing on concert stages throughout North America, Europe, and Israel, the award-winning chorus awakens audiences to the exotic rhythms of the Middle East to the majestic anthems of 19th-century European synagogues, from the romances of Spain to the chants of Yemen, and from contemporary American jazz to the much-loved Yiddish tunes of Jewish musical theater.